Ribollita is a common soup in Tuscany, always made with bread and vegetables. There are countless recipes around the web, but one of the main ingredients is always white beans and leftover bread. This is a perfect recipe for when you’ve got a loaf of bread sitting around going stale. 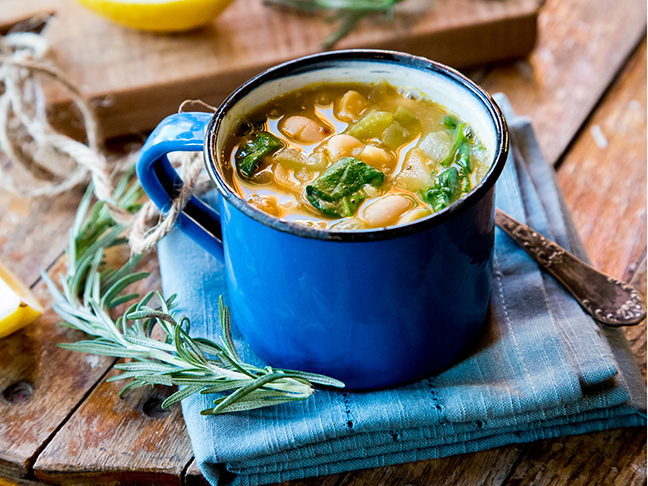 This rustic ribollita soup recipe is packed with hearty white beans and leafy greens, and if cooked with vegetable broth, it’s completely vegetarian. 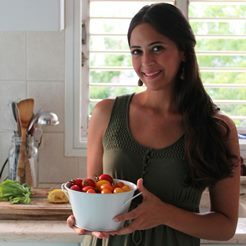 This is one of my favorite soups on rotation for meatless Mondays! Step 1: In a large pot, heat the olive oil over a medium flame. Add the diced onion and sliced garlic and cook until golden, about 7 minutes. Step 2: Add the celery slices, minced rosemary, and diced tomatoes to the pan, and season to taste with salt. Step 3: Pour in the chicken broth and drained beans, and season generously with freshly cracked black pepper. Bring the soup to a boil, reduce to a simmer, and cook covered for about an hour. Step 4: Ten minutes before the soup is ready, add in the spinach leaves and crusty bread pieces. Adjust seasoning according to taste, and serve hot with a little squeeze of lemon (optional).